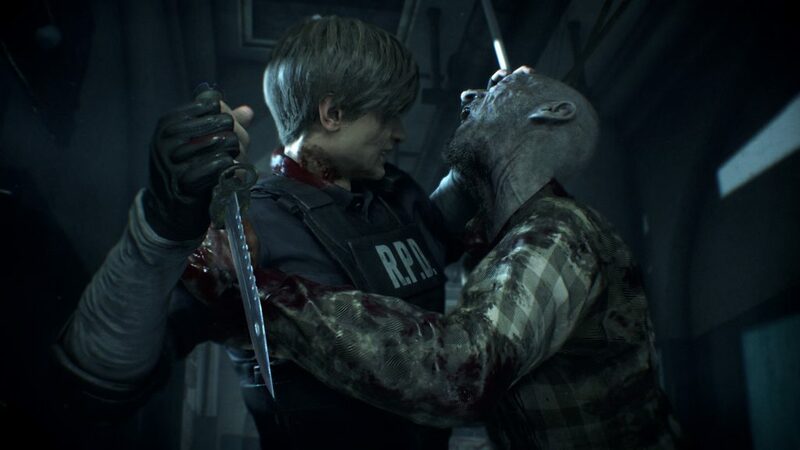 Drug testing lab dispersal cartridge puzzle is one of the challenges in Resident Evil 2 Remake. In order to complete it, you’ll have to use the drug synthesis station in the Drug Testing Lab in order to create a herbicide for the Greenhouse. Before you can do that, though, you’ll have to figure out the lab codes that will let you unlock the area using the terminal in the Greenhouse Control Room. This Resident Evil 2 Remake lab codes & drug testing cartridge puzzle guide will help you by showing you which glyphs to press and how to operate the synthesis station. First off, you’ll need to go to the Greenhouse Control Room and input the codes that will unlock the Drug Testing Lab and the Greenhouse. You can enter them into the terminal below the map. The keypad doesn’t have numbers – instead, it has strange glyphs. The configuration is the same as on a standard number pad, so that makes things easier. The combination for the greenhouse is upper right, upper left, upper middle, upper right. The code for the Drug Testing Lab is upper middle, bottom (between back and enter), center right, lower left. Once you’ve unlocked both rooms and obtained the dispersal cartridge from the machine, head on over to the Drug Testing Lab. The synthesis station is to the left of the door. Insert the cartridge into the slot, then interact with the controls. In order to fill the cartridge with the herbicide, you’ll have to press the buttons in the following order: red, green, blue, red, green, blue, red, green. Now all you have to do is grab the filled cartridge from the station and you’ll be ready to tackle the next part of your quest.